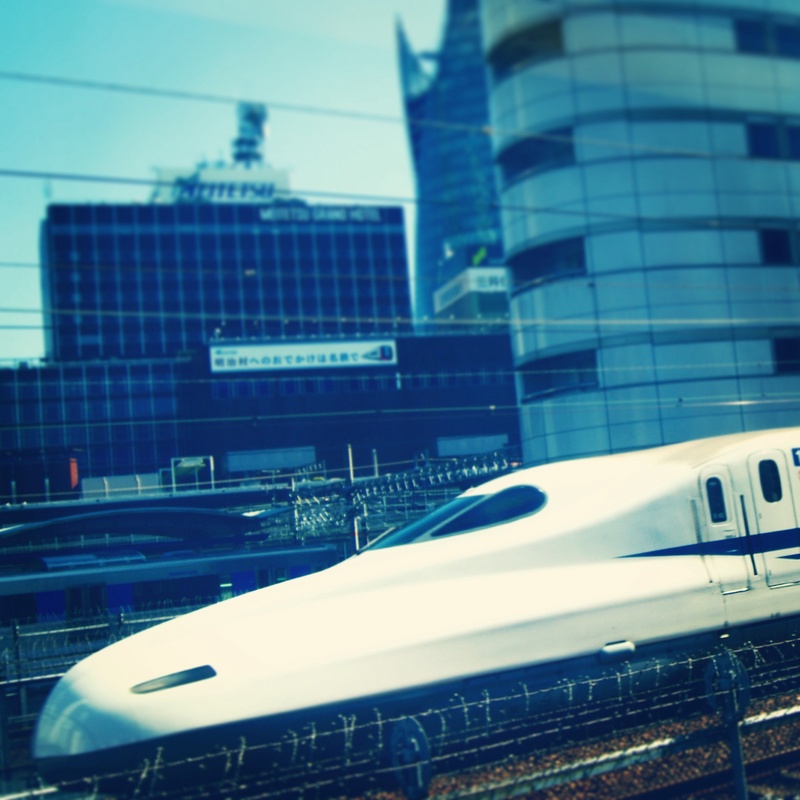 The Japanese Bullet Train. October 2014. I almost can’t contain my excitement that i’m travelling to Kyoto today which was the capital of Japan for over a thousand years. Kyoto was at the head of the atomic bomb target list but an American general had spent his honeymoon there found it so beautiful that he managed to get it delisted. I have high expectations for Kyoto. The last few years when I have been travelling my biggest wish has been to see certain ever elusive (cloud cover) mountains, not any old mountains either but very beautiful ones. One year I HAD to see Kilimanjaro, and the other year Mount Damavand, the highest mountain in the Middle East. My trips would never be complete without them. I actually saw a clear Kilimanjaro twice and once Mount Damavand while driving into Tehran. Those years I must have been good as my wishes came true. Now i’m in Japan and I MUST see Mount Fuji, notorious for almost always being blanketed by clouds. If I don’t Japan will never be complete and I will look back on the past year as a time of personal failure. I know this is bordering on superstition but for me it really matters. It just happens that the train to Kyoto almost touches the lower slopes of Mount Fuji! We got up at 6am, had breakfast in the hotel and then walked through the old Yakuza (Japanese mafia) area of Golden Gai and across Hanazono Shrine towards the subway station. Golden Gai is interesting because it’s a snapshot of how Tokyo looked before the war, low two story buildings seperated by narrow alleyways. While we were walking a short, plump salary man in a dirty suit was staggering drunk infront of us. The zipper of his laptop bag was wide open, the bag was empty except for a few pieces of paper. I just thought God, what happened to him, has he been mugged or something? We got to the subway station just in time for the rush hour, I had visions of us being pushed into the carriage, sardine style, by attendants like you imagine the Tokyo rush hour but everything was orderly and on time. It didn’t even seem that busy and we were on the Maranouchi Line, one of the main arteries. We got to Tokyo Train Station, the Bullet Train’s terminal on the other side of the city near Ginza, the former downtown area, and bought tickets for the Nozomi Shinkansen, the fastest Bullet Train in the country. I’ve travelled on the Thalys, Eurostar, ICE and the TGV but I was expecting alot from the Nozomi, not only because Japan is famous for being technologically advanced but because Japan is the birth place of the high speed train. We got to the platform where our train was waiting and before we knew it were were passing through Shinagawa, Kawasaki and Yokohama. First impressions of the Nozomi, it wasn’t spotless like high speed trains in Europe but looked slightly worn, the chairs were comfortable and there was alot of space. Plus power points to recharge. The conductors bow everytime they enter and leave the carriage, how cool is that? Japan is a very beautiful country. Once we left the Tokyo conurbation mountains appeared on the right side, and glimpses of the Pacific Ocean on the left. I kept an eye on the horizon for Mount Fuji. While I imagined Japan to be more focused on agriculture there was alot more industrial factories that you would imagine. Paradoxically it was how I imagined it, little almost cardboard box looking houses and small towns crammed between the mountains and the sea, their streets lined with bulky almost toy like cars, now and then a little allotment for vegetables. I realised as we were approaching Nagoya that my chance of seeing Mount Fuji was over, there had been too much cloud cover. I felt my heart sink and although it was hard to accept, this year I had negative karma. 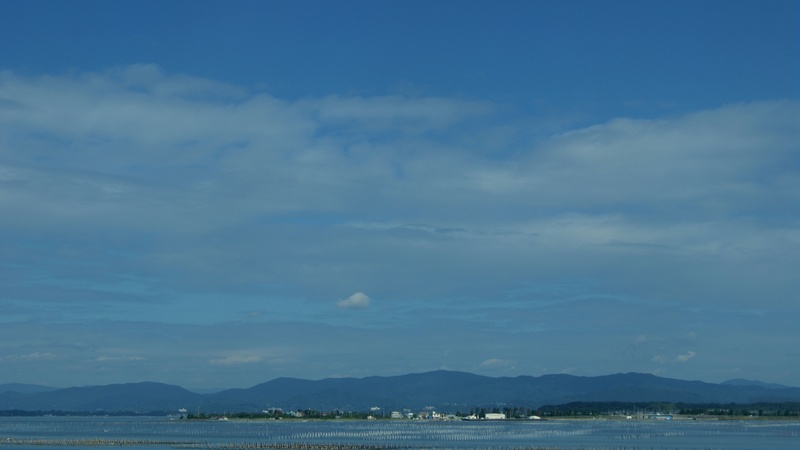 Please go away clouds….I must see Mount Fuji! I think i’m beginning to like Japan. I appreciate their transport system, their politeness, their cleanliness, even the conductor on the train burst into a smile and became almost extroverted when he saw us. Or, is this how Japan Rail employees are taught to interact with foreigners and he was just following the manual? Our train pulled into Kyoto, often described as Japan’s most beautiful city but I wasn’t feeling it. As the Bullet Train pulled away the conductor waved to us enthusiastically from an open window. 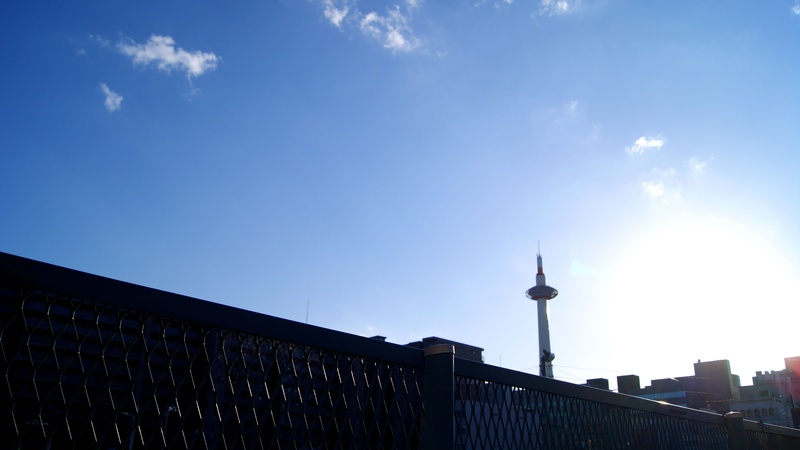 We walked through futuristic Kyoto Station and into the streets. Alot of countries have their historical city, Italy has Rome, Peru Cusco, Iran Isfahan, Belgium Bruges. While Isfahan and Bruges are beautiful as soon as you arrive and very characteristic Kyoto is not. It is huge, concrete, modern and not what you expected. I noticed immediately though it was alot quieter than Tokyo. It’s now make or break time for Japan, let’s see why all those travellers keep gushing about you. This entry was posted in Japan and tagged Bullet train, Drunk salary men, Golden gai, Hanazono shrine, Japan, Kabukicho, Kyoto, Mount Fuji, Shinjuku, Shinkansen. Bookmark the permalink. ← Observing Tokyo. October 2014.